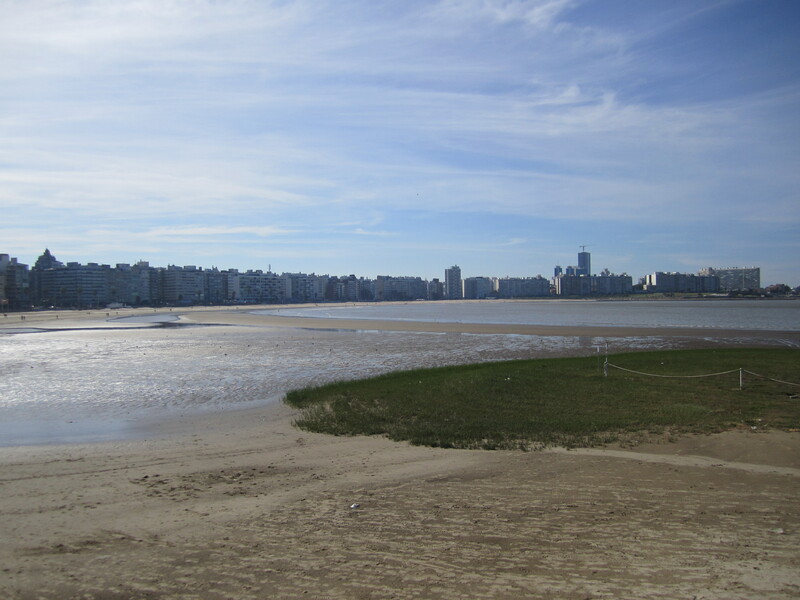 From the sleepy gaucho town of Tacuarembo, we headed to the polar opposite, the capital city of Montevideo. 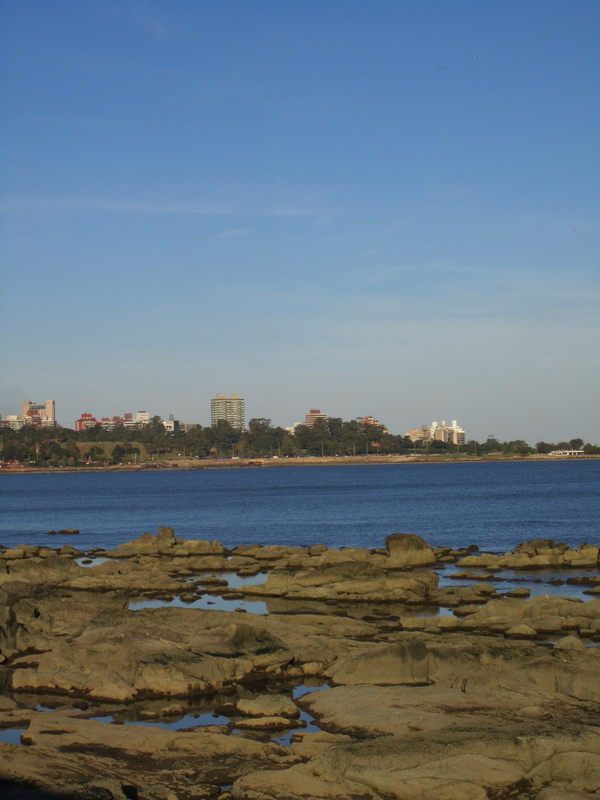 Montevideo is a modern city full of fun events, good restaurants, lots of people, and several fútbol teams. 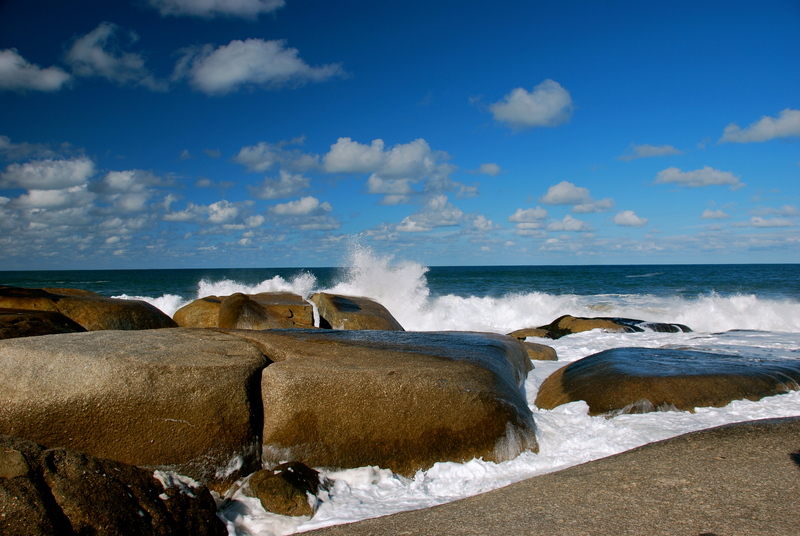 Uruguay boasts an overall population of 3.5 million, and about half of these mate-toting Uruguayans live in this city. We restrained ourselves from buying anything too strange, but we did go a bit crazy with the street food. It was cheap, varied, and delicious. 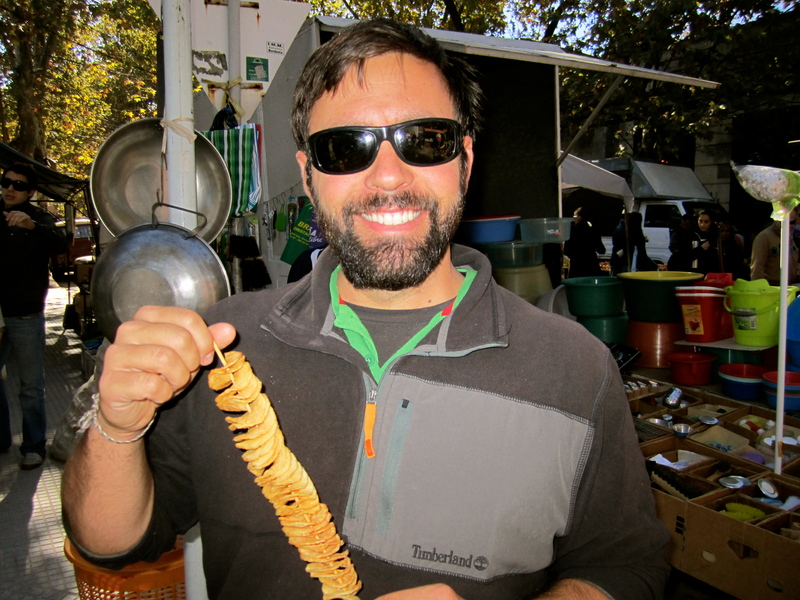 Chips on a stick! Why didn’t we think of this sooner?! While Catholicism is listed as the country’s official religion, fútbol is a close second. Montevideo has over nine teams, each with an insane fan following. We were lucky enough to be in town during a match, and we jumped at the opportunity to join in on the insanity at the historic Estadio Certenario, home to the first World Cup in 1930. 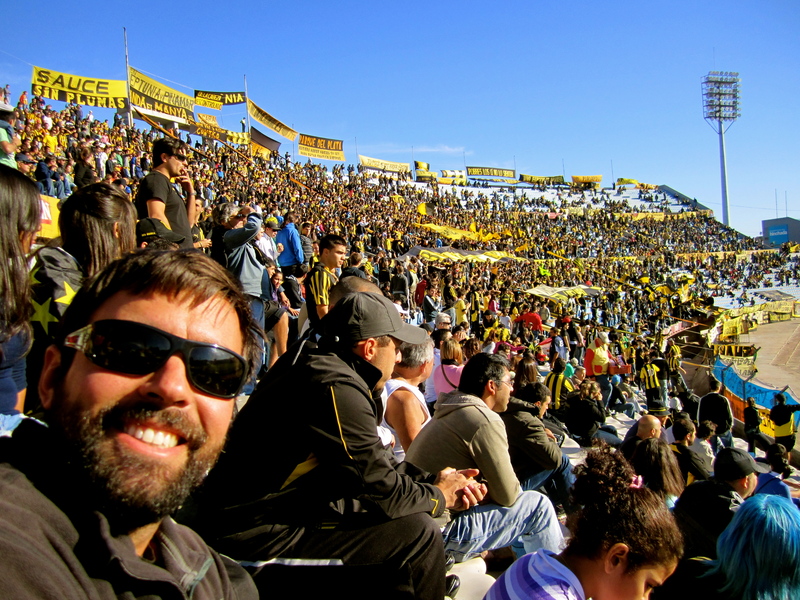 Joe with the Penarol fans. These fans did not stop singing once during the match, and fireworks in the stands were not out of the question. The passion for this sport (and their team) is INSANE. We tried to blend, but seeing as we didn’t know any of the words to the 15 or so chants that were constantly being sung, I am pretty sure we failed. This game was by far the best one we have seen in South America. One of the guys from the other team scored with an incredible bicycle kick and we had to suppress our amazement as our whole side of the stadium groaned. The match was pretty dramatic, and the opposing team ended up tying the game (2-2) in the closing minutes. 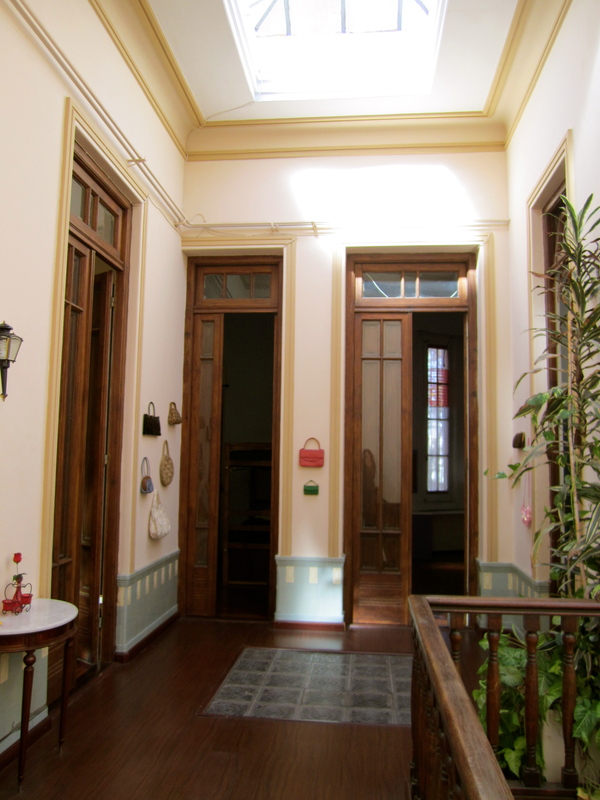 Montevideo is a great place to hang out and we did return after a beach vacation (stay tuned). 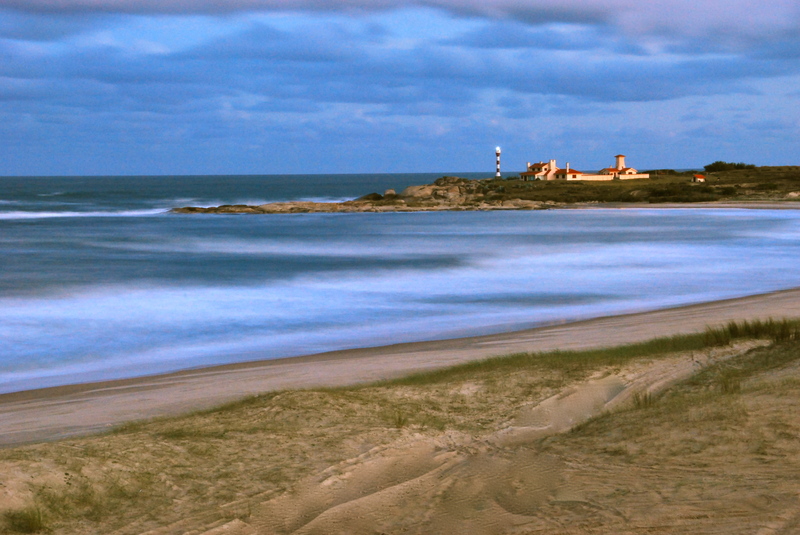 The coast of Uruguay is famous for its gorgeous beaches which are overrun by Argentinean tourists during the summer. 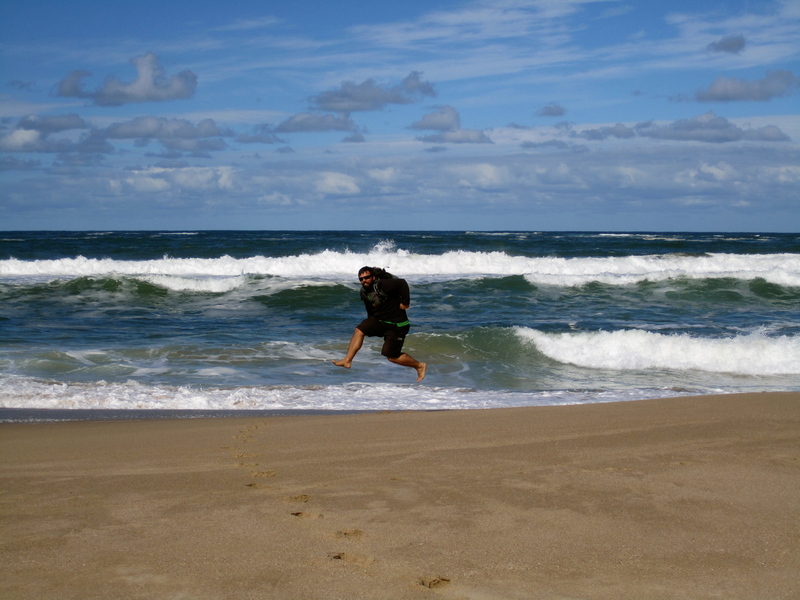 We luckily missed the mad rush of people and had the city of Punta del Diablo pretty much to ourselves. The beach was a little chilly, but we scored with our own apartment which had an ocean view and a hammock. Joe swinging in the breeze. View from our apartment. With this view, why would we ever want to leave? We had a great time in the apartment, and the amenities even made us feel a little like we were home. We were able to make our own meals, Joe was able to do our dishes, take out the garbage, and clean our bathroom. For some strange reason, Joe is wondering why we want to go home in June? 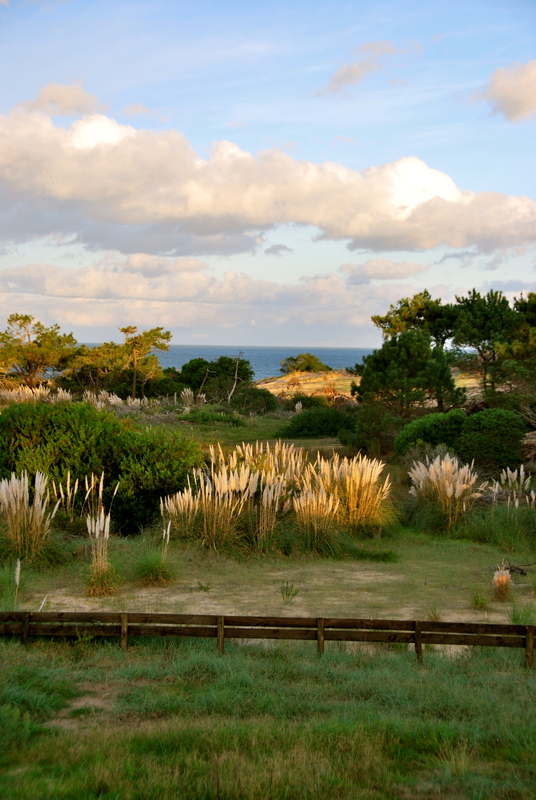 We originally were only going to spend three nights in Punta del Diablo, but we were having such a great time relaxing that we stayed for seven. Asking for one more night became a running joke with the owner each morning when he came over with our breakfast. After a few times of asking “una noche más,” he just started asking it for us. 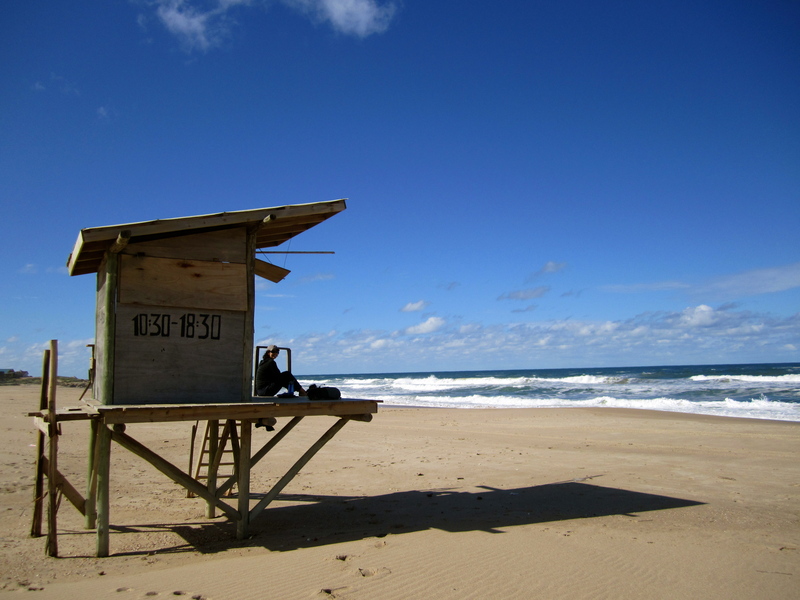 Punta del Diablo has a huge beach. We didn’t have any “bathing suit weather,” and the water was a little too cool for a dip. We did enjoy walking down the beach, but we were bummed when we spotted two other people on our beach about one mile away. Who do those people think they are? Kris playing lifeguard on the busy beach. The water was so cold that it launched Joe into the air. You could tell that this town must have a few more tourists during the summer. There were dozens of restaurants on the streets, but not one of them was open. Our apartment owner told us that most of the restaurants are only open for two or three months a year. Joe just thinks he might have found a new job. 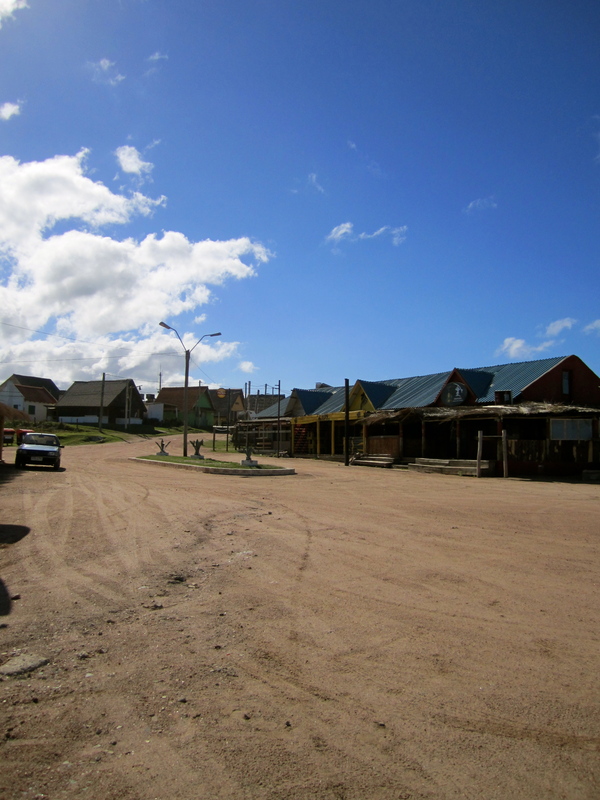 Busy streets of Punta del Diablo. We actually waited for a car to be in the picture. The whole coastline is so beautiful, so we, of course, took just a few pictures. Joe even got a chance to take some evening long-exposure pictures, his new favorite hobby. While there were not that many people in this town, it did have its fair share of dogs. Our apartment owner had three dogs which would visit us from time to time. The big dog was a little bit of a trickster and would hop on three legs, acting like he was in pain. We knew he was “acting” because sometimes he would change legs, and when were watching him from a distance, he had no problem using all four. Guess he just figured out how to work the gringos. 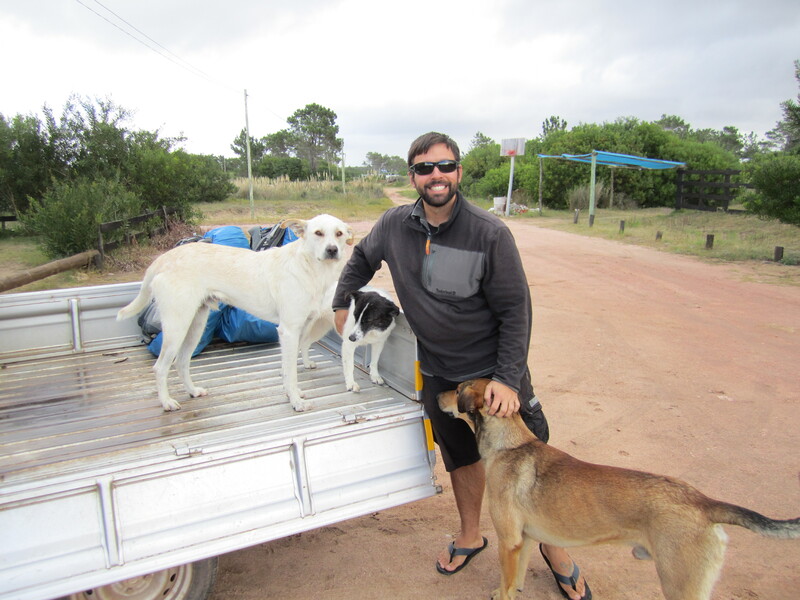 Joe and the gang of dogs. The big one is so embarrassed from being caught that he couldn’t even look at the camera. On our way south we stopped in Montevideo, for one more visit. 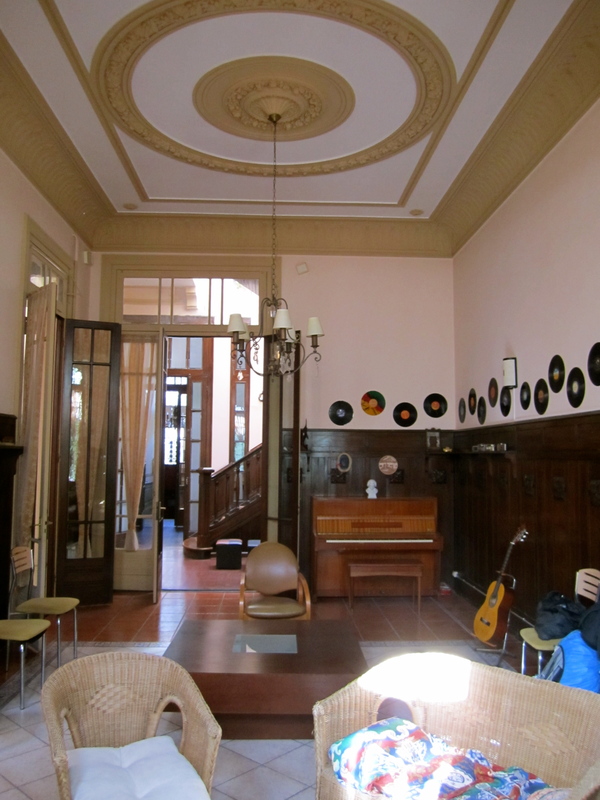 While there we stayed at one on the most amazing hostels ever. Hostel Ukelele is a converted 1920’s mansion, and it could have easily been a museum and not a hostel. It is by far one of the most beautiful homes we have ever stayed in. Pictures really do not do this home justice. 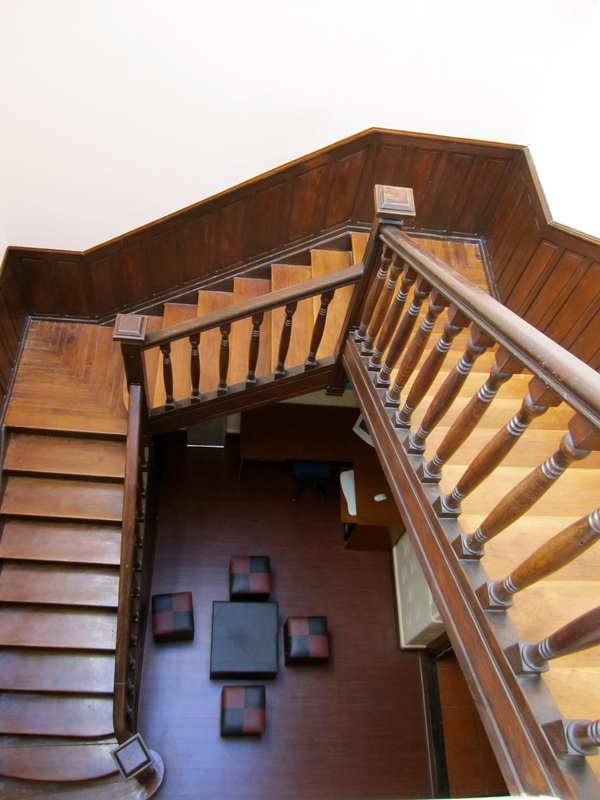 From the 20 foot ceilings, to the amazing details at every corner, this place is unique. 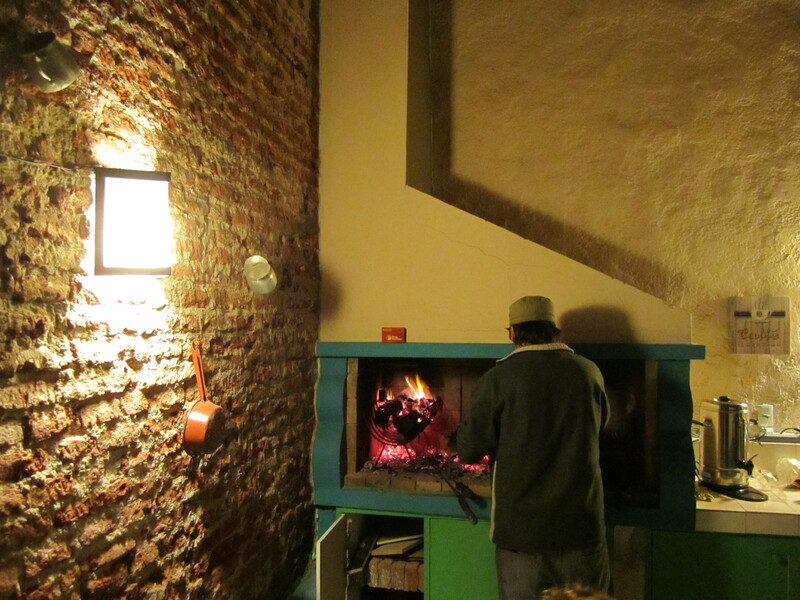 The young owners of the hostel are extremely friendly and invited us to a Parrilla (Uruguayan BBQ) the first night we were here. They cooked a plethora of meats, and in true Uruguayan fashion the meal was not over until 1:30am. 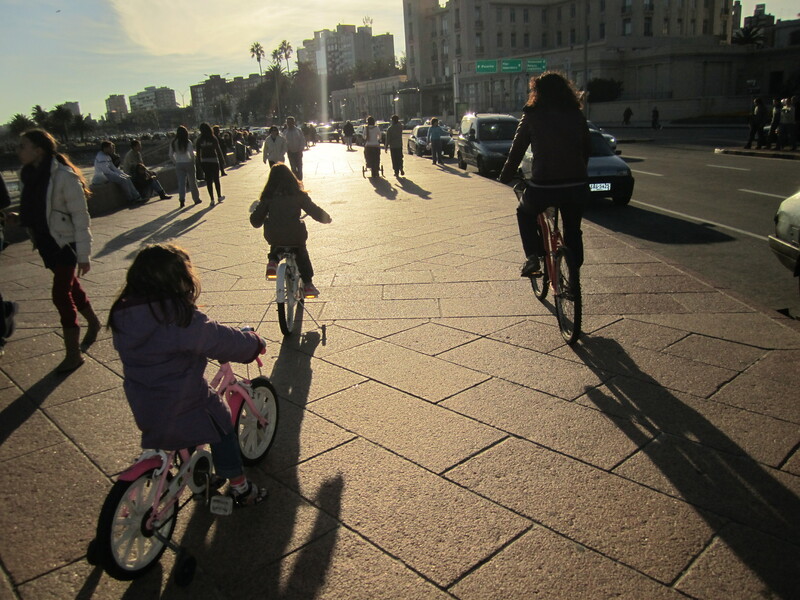 For our final day in Uruguay, we rented bikes and hit the Rambla, a road skirting the waterfront around Montevideo. It seems like the entire city had the same idea and the Rambla was full of people enjoying the weather. Kris, of course, dazzled the crowd by dodging all pedestrians and miraculously avoiding all collisions. We enjoyed taking in the scenery and the beautiful weather. 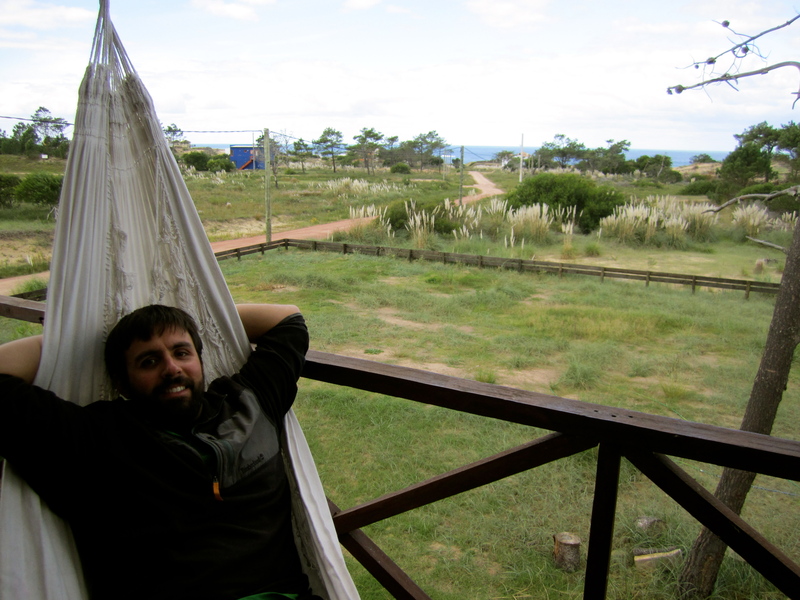 We had a relaxing time in Uruguay. It is a great country to visit to get lost in the culture and their easygoing life style. We have met so many nice people there, that it was hard to leave, but it was time to enjoy Buenos Aires and the rest of Argentina.